I know I'm part of a very small club when I say that I absolutely LOVE the classic Zelda cartoon! Say what you will, the show was terrible and I love every moment of it! 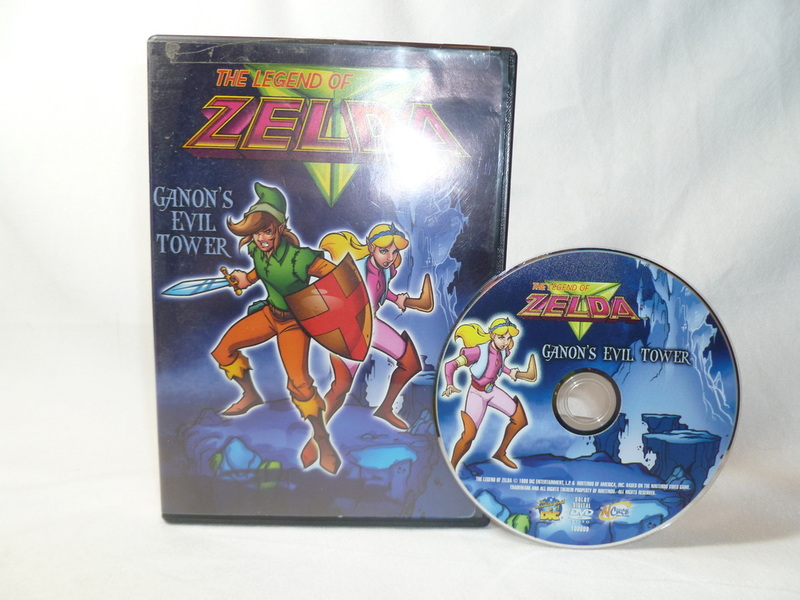 There are some other neat Zelda goodies in my media collection as well, so check them out! 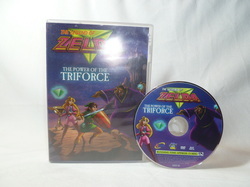 My Zelda video media items will be loosely categorized and will be listed from oldest to newest in each category. Episodes: "The Ringer", "Cold Spells", and "The White Knight"
Episodes: "Underworld Connections", "Sting a Stinger", "Fairies in the Spring", "The Missing Link", and bonus episode "Sing for the Unicorn"
Episodes: "That Sinking Feeling", "Doppleganger", "A Hitch in the Works", "The Moblins are Revolting", and "Kiss and Tell"
Other Info: Running Time : approximately 105 minutes. 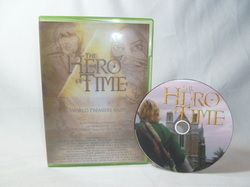 This DVD is a documentary of the history of the Zelda series. It has interviews with Shigeru Miyamoto (the creator of Zelda), BOSE, Satoru Iwata, Eiji Aonuma, Hisakazu Hirabayashi, Yoshiki Okamoto, and the rest of the production and design team. One of it's 'special features' is that it has an interactive menu. 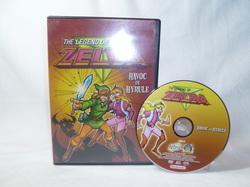 The documentary covers all of the Zelda titles up through The Wind Waker (including the rare BS Zelda) and it shows most of the full game endings for the console titles. (It does not show the endings for The Wind Waker or for the handheld titles.) The documentary also features commentary from the staff that can either be turned on or off during the viewing. Other Info: Directed by: Joel Musch. Music by: George R. Powell. Also located in Crafts.